GUANGZHOU, China, April 3, 2019 /PRNewswire/ -- The 125th China Import and Export Fair (Canton Fair) is holding business promotion events in 21 countries and regions to spotlight business opportunities. Additionally, 18 video promotion conferences were held in 17 countries such as the United States, EU countries and those in the Belt and Road Initiative (BRI). The events strive to offer a safer and more convenient trade environment with higher profitability for global buyers, as well as popularize the Canton Fair as a platform for connecting business in China and the rest of the world. The video conferences are also applying a new online business matching feature for Canton Fair's international buyers and Chinese manufacturers, allowing for pre-matching workshops before the show. To enable one-stop global sourcing, Canton Fair has been expanding its Global Partnership Program to develop new quality partners, encouraging more local businesses to discover their market potential. Currently, Canton Fair's partners have expanded to 120 organizations in 71 countries. 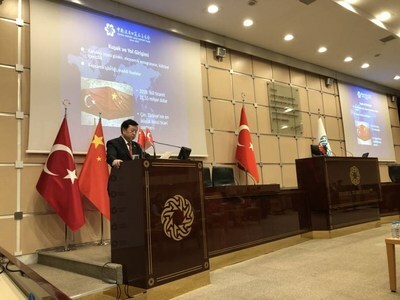 Li Jinqi, Director General of China Foreign Trade Centre, said at the event in Turkey that the Canton Fair has comprehensive features for international businesses. Guests from countries such as Turkey can not only buy quality products from China, but also discover the Chinese market through the fair's International Pavilion, allowing both markets to share benefits and prosperity. Mohammed Al Kamali, Deputy CEO of Dubai Exports Development Establishment, Dubai Economy Department, said at a promotion event in Dubai that the Canton Fair is an incubator for China's foreign trade. China and Dubai can create many opportunities on the platform. "Canton Fair is an open, innovative and efficient platform for international trade," Xu Bing, Deputy Director General of China Foreign Trade Centre, noted at the event in Valletta, Malta. He added that under the BRI framework, countries such as Malta would embrace more economic development and trading possibilities. Through the Canton Fair, states can work together to promote and boost bilateral trade cooperation.